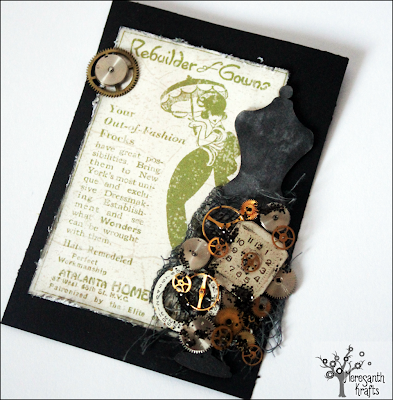 Hello, servus and welcome to our little crafty Steampunk corner! By now I guess everyone is heading full speed towards X-mas festivities and has been busily preparing, baking and crafting away with X-mas decorations and/or presents. 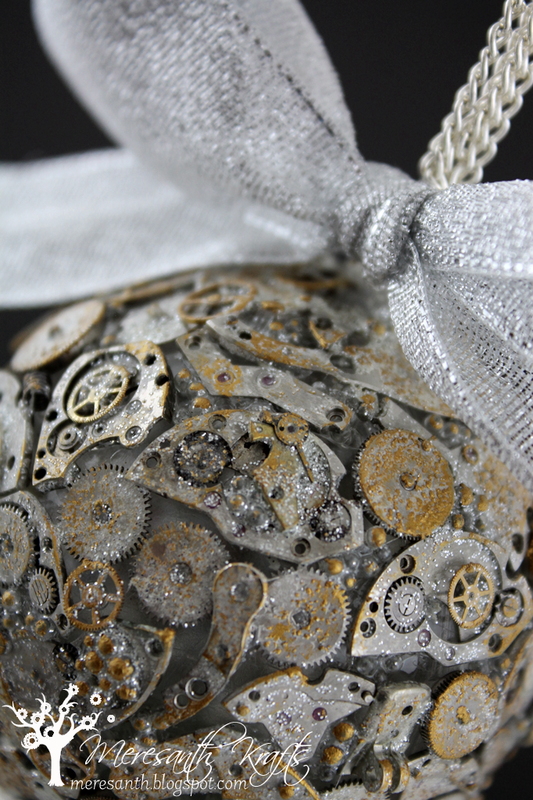 Those who haven't already checked out the post from December 1st - we have decided to do some excessive X-mas-wishing around the Steampunk globe instead of a challenge. 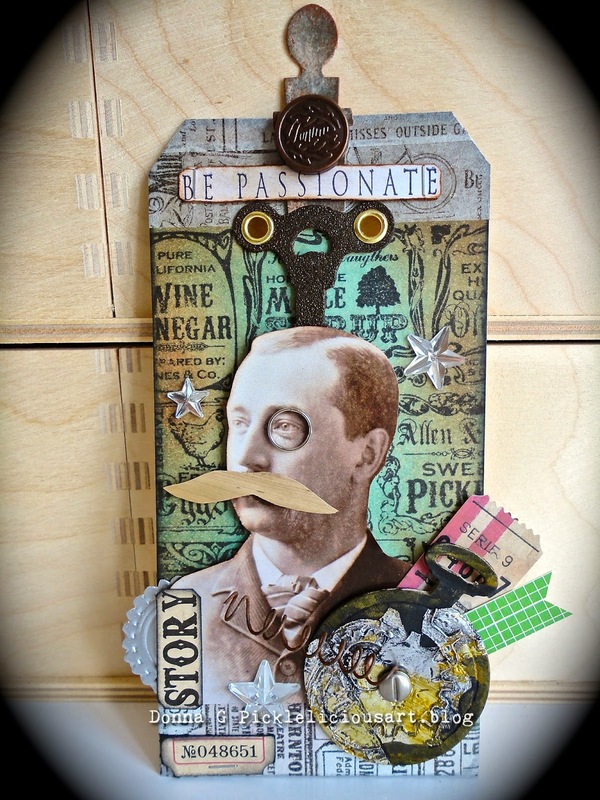 One happy X-mas wishing person will win a fab $25 voucher to use at Inspiration Emporium! And, please, make sure you follow all the criteria to get eligible (details can be found by clicking HERE). What do we need from you and what will you get in return? You should love what you do and find the right mix of fun and sense of responsibility. - and there's our DT blog that needs to be checked regularly so communication works as smooth and quickly as possible. - And I as the blog owner who sets up the posts and who communicates with our prize sponsors, have to be able to rely on you with this. 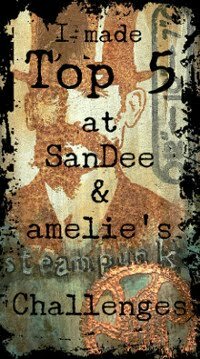 We really are a very relaxed DT and we don't regard SanDee&amelie's Steampunk Challenges being a business. 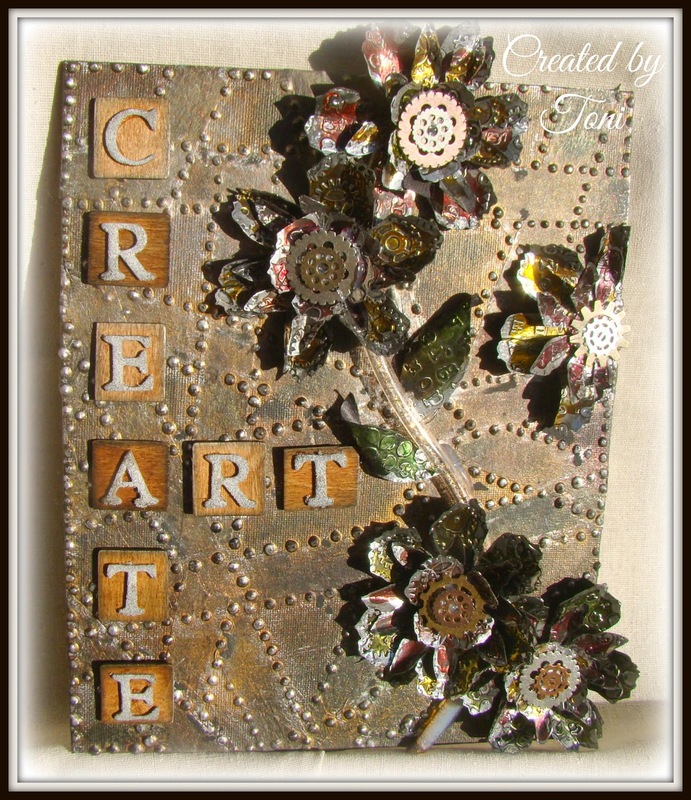 There's no payment and no recompensation for your creative "work" (except the joy and fun you should have creating and sharing your makes with the team and our players on the challenge blog) as we aren't connected to an online shop or any other business . 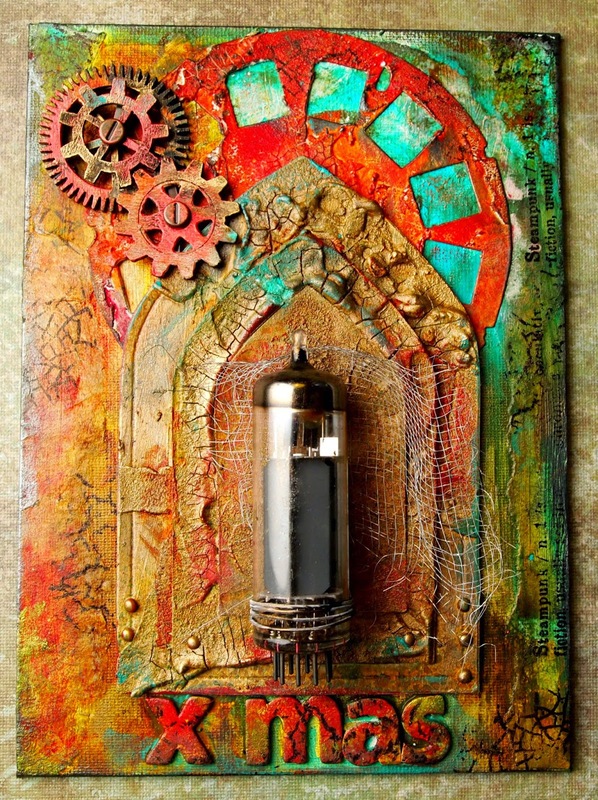 It's for the joy of sharing Steampunk art of all kinds that we do what we do. The whole team is very aware of the fact that real life has the habit of interfering with personal resources, plans and schedules - so as long as we can talk about it we will always find a way to help out and/or find a solution, when DT work would get affected. We try to keep DT requirements on a relaxed level. Our challenges are always "anything goes" but theme- connected. 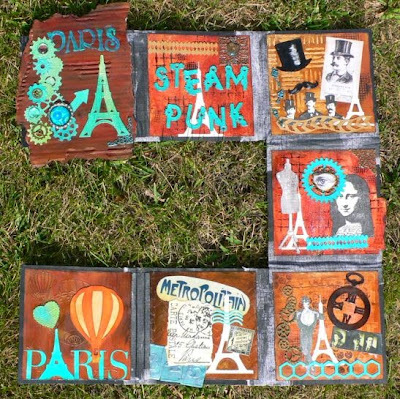 We are looking for mixed media artists, tag and ATC makers, art journallers, stampers, alterers...we love it when you have develloped your own individual "Steampunk Attitude" for your creations. Because I don't want anyone to waste precious time on applying for something he or she doesn't really fit in well enough to feel comfortable with and/or even have joy in doing. Being part of our DT will not make you famous I am afraid. Our goal is to enjoy, inspire and share art with others who think alike. That's all there is to it honestly. the DT Call will run from today until 31. January 2015. - and some lines about yourself and also explaining why you think SanDee&amelie's could be the place and team for you. 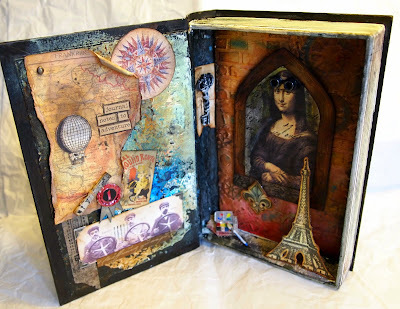 If you haven't done any steampunk yet but want to explore new territory, create something new and Steampunk-ish to show. Steampunk expertise isn't a criteria for us. We will try to get in touch with all applicants asap and as time allows. The two new DT members will start with the March challenge and will be informed well in time. If there are any questions I forgot to answer in this post, just email me. And don't forget about our X-mas "event". Servus! 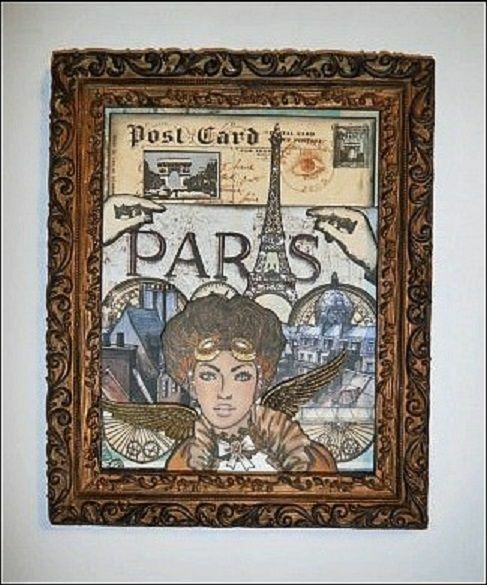 Great to see you around our little Steampunk corner! 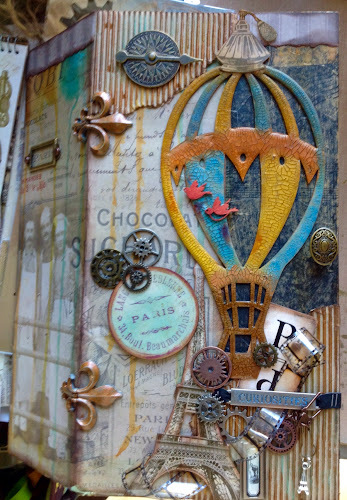 You have arrived just in time to find out who made our Top 3 in the "Steampunk Destinations" challenge and who won the fab prize from last month's challenge - sponsored by Irishteddy's. Yay! Congrats, Turwen! Please, email me so we can fix everything for having the voucher being sent to you asap. Thank you for playing with us and have fun with your little shopping tour over at Irishteddy's! Huge congrats to you, ladies! As usual your creations left us standing in awe and we enjoyed looking closely at all the details so much! Please, take the Top3 badge for display on your blogs if you like. In the meantime we all hope you will enjoy a wonderful advent season and lots of X-mas (and non-X-mas) crafting! By now most of you should be in X-mas preparations mood and maybe Steampunk isn't your first choice of project to make right now. So we decided to do a cheer- and joyful "Christmas Wishing Month" instead. There need no projects to be entered to win this month's prize - as we plan to save all our precious crafting time on preparing X-mas goodness with loads of bling, on shabby vintage delight, on baking cookies, Stollen, Plum Puddings, lebkuchen (= ginger bread) or wrapping up selfmade presents for our loved ones! Just leave us a comment on this post in which you wish all of us (i.e. the players, the team and yourself) whatever you would like us to get for Christmas and the new year. 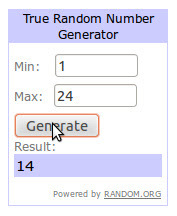 Just one comment per person (otherwise we will have to exclude you from the draw), please! You will have time until the end of December to do your X-mas and/or New Years Wishing with us. I will draw one random winner from all the Christmas wishing comments shortly after December 31st and he or she will win a fab $25 voucher to spend at Inspiration Emporium. Yay! Thank you so much, Joy, for donating such a generous prize! The team have created some Christmas Steampunk ornaments, cards and tags to express our joy and gratitude towards all who help making SanDee&amelie's Steampunk Challenges the wonderful place it has become during the last two years - which means our true players, our new players, our wonderful sponsors and special guests and for me it also means my fabulous team of course! Thank you all so much for playing with us so constantly, for sharing your art and your awesome crafting goodies with us, for doing excellent DT work, for inspiring, for enabling and for the comments you leave over here and/or with the DT members' blogs. You fuel our creative energy and make us enjoy this so much! You all never cease to amaze me with the art you create! Merry Christmas to you, Joyeux Noël à vous. I hope you have all a wonderful christmas time. May the spirit of the season bring you happiness and joy. Merry Christmas to you all - hope your wishes for some steampunk will come true. 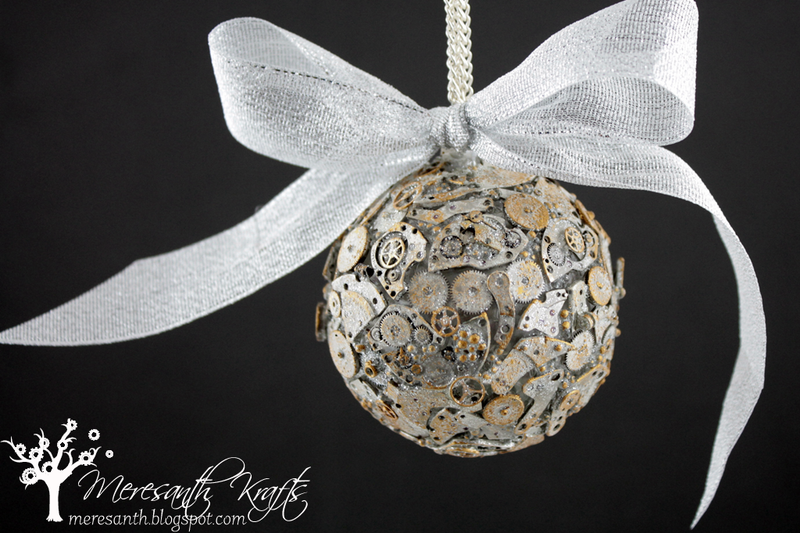 A very steampunk Christmas to you all! Even though there is no real "challenge" there will be a mid-month post with some special and exciting news! So don't miss it and make sure you check back on 15th December! And of course there are more details on the DT's X-mas projects to be found on the team members personnal blogs. So why not pay them a short visit and get some more inspiration? Hugs and happy X-mas crafting, baking and preparing! Yay! So great to see you here at our little Steampunk corner! Team B has travelled to some beautiful spots too and if you haven't seen the makes of team A yet, you should check them out too! 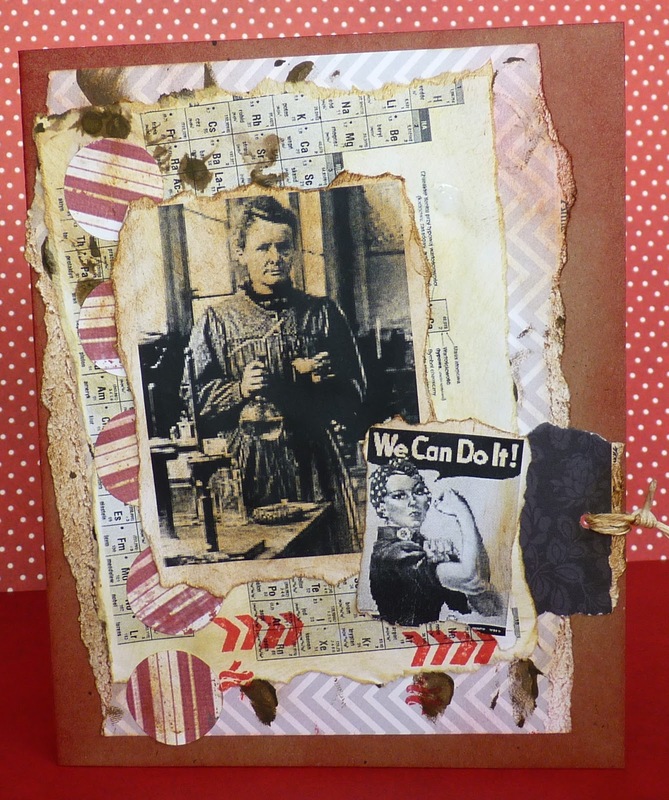 To do so - and to get to the link up to enter our challenge - click HERE. This month's prize sponsor is lovely Iris from Irishteddy's! 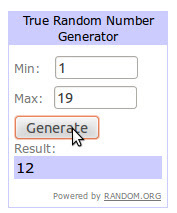 Once more she will give away a 10 Euro voucher to spend with her well sorted online store. All you have to do to get eligible for the win is enter a proper project to this month's challenge and join in the steampunk fun! (that's my new nickname), but I love these objects because the depth creates a fascinating and dramatic visual result. I had this earworm in my head: ''I've never been to New York'' ... and so I have made a 3D project with the title ''Dream Dancer''. More details and discoveries can be seen on my blog. My 'Steampunk Destination' is Victorian London - I think that would be one of my time travel destinations (if there were the possibility!) 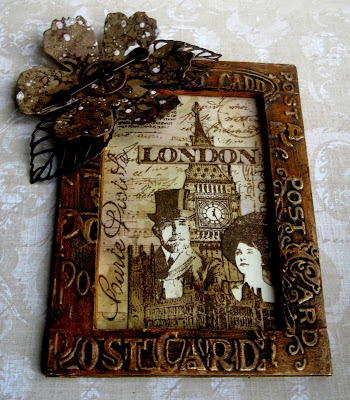 Certainly Victorian London fits a steampunk style and I have added my usual vintage techniques to make a sepia tinted picture and frame. I found that my ancestors travelled to the most wonderful places! For this LO I used colour copies of photographs which show them hiking a glacier! Wow! They were real explorers back then, weren't they? So many wonderful places to travel and so many possibilities to get there! 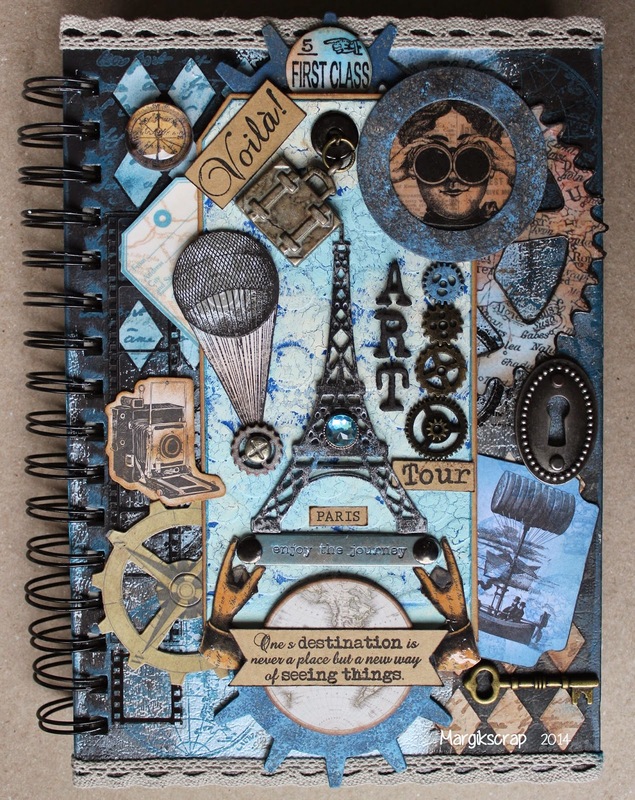 We can't wait to learn about your favourite (steampunk) destinations! Click HERE to get to the challenge. It is open until the end of the month and Top3 and prize winner will be announced on Saturday, 6th December. In the meantime we wish you a happy crafting time! Claudia and your SASPC team! Servus and welcome to the announcement of the Top3 from the Steampunk Couture challenge and our prize winner for October! You really gave us a hard time choosing our Top3 this time...well, honestly you always do, but this time it was almost impossible choosing one project over another. But choose we must and we did. We highly recommend you visit their blogs (by clicking their names or the images) and take some closer looks at their stunning creations! 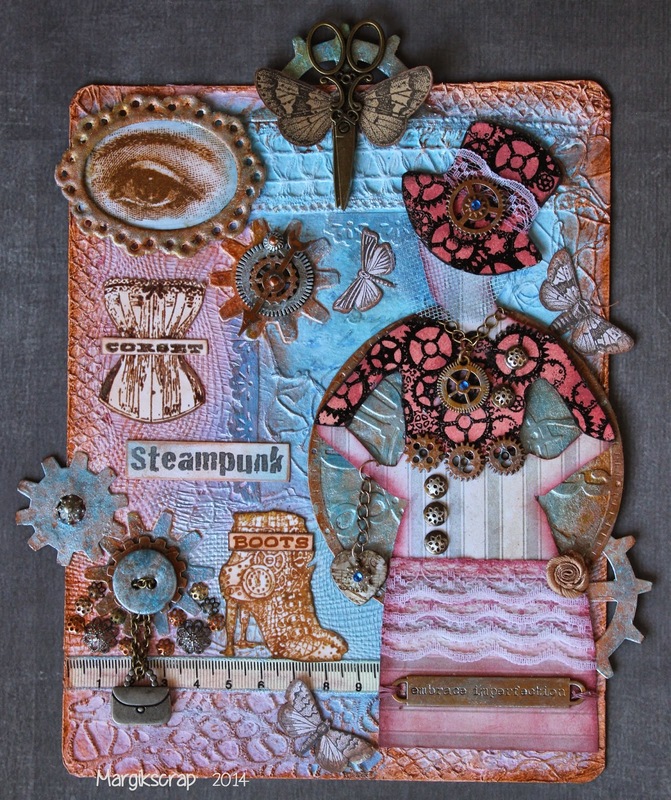 Huge congrats, ladies, and thank you all so much for sharing your incredible Steampunk art with us! Please, feel free to grab our badge for display on your blogs! 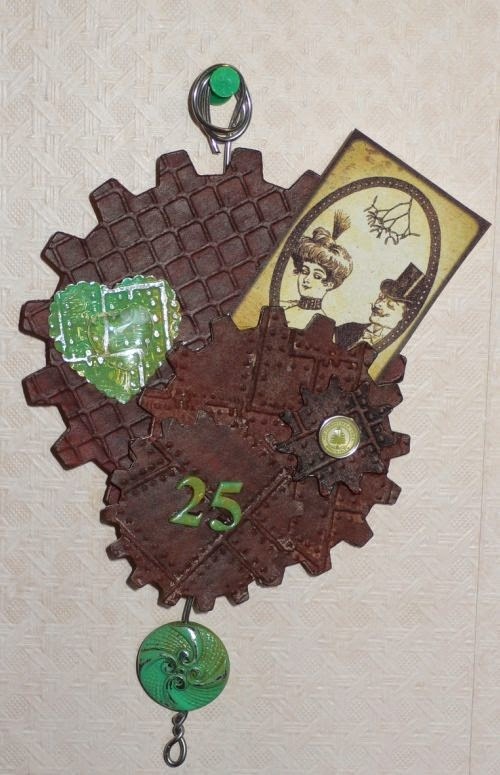 Our actual challenge "Steampunk Desitinations" is up and open until the end of the month. We would love to have you play with us again! And we are so happy about all our true players but also the new players who keep finding and exploring our little Steampunk corner! Yay! Congrats, Barbara, on your prize win! Please, email me so we can fix everything to have your prize delivered to you asap! We have already reminded you of the actual challenge...but there is still the mid month reminder with the creations from team B to come. 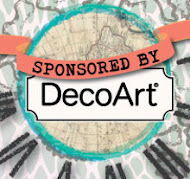 So check back on November 15th to find some more inspiration on our "destinations" theme and the announcement of this month's prize sponsor as well! 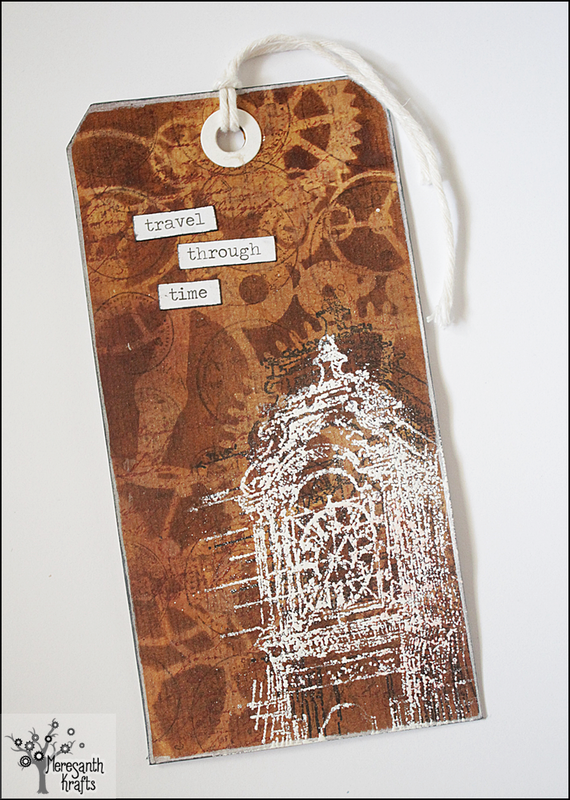 Don't we all love to travel! Going to new places, learning about foreign culture, enjoying foreign cuisine, visiting wonderful sights all around the globe...is so exciting, isn't it! Before I show you the fab creations from Team A, let give you a quick reminder about the winners post which will go online next Saturday. So make sure you check back to find out if you made it to the Top 3 or won the prize sponsored by Tando Creative! For November I'll go to... Paris, with a book. Not an e-book but un u-book. 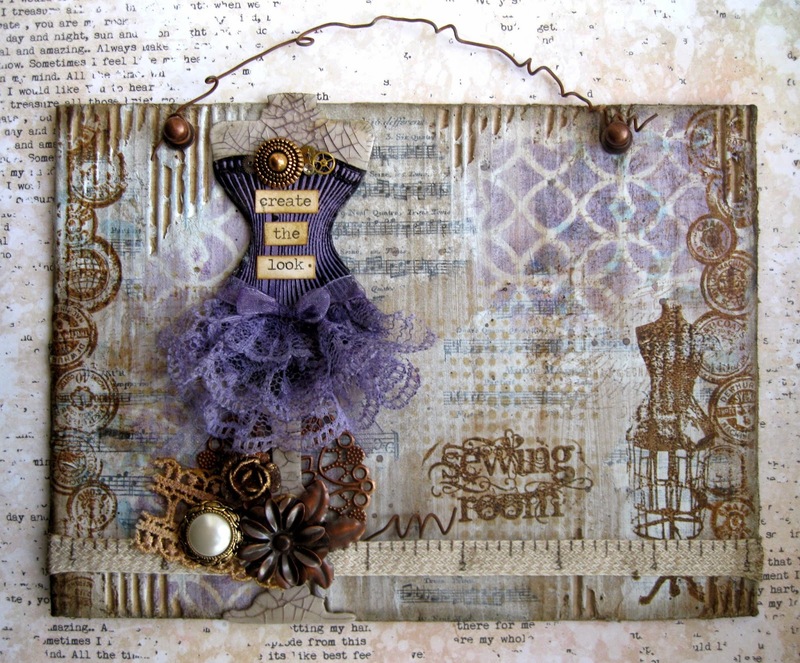 The background is cardboard, the hinge is fabric. 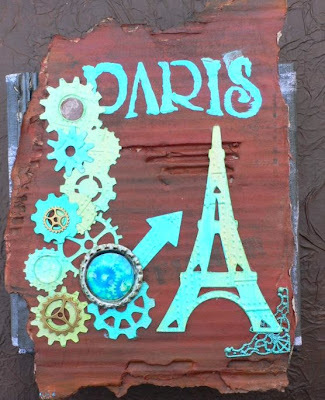 Paint, images, charms, dies, stamp..... and of course Eiffel Tower ! If you gave me a time machine, I'd travel to Victorian London. Hach! *) I am ever so proud of my fabulous team! The challenge will be open until the end of the month. On the 15th of each month we provide you with more inspiration from team B and reveal the prize sponsor for this month's challenge too. So don't forget to come back then to find out. As usual we offer two separate collections for your 2D and 3D creations. *)"Hach" is what we say (or happily sigh) in German to express a feeling of deep satisfaction or simple happyness. 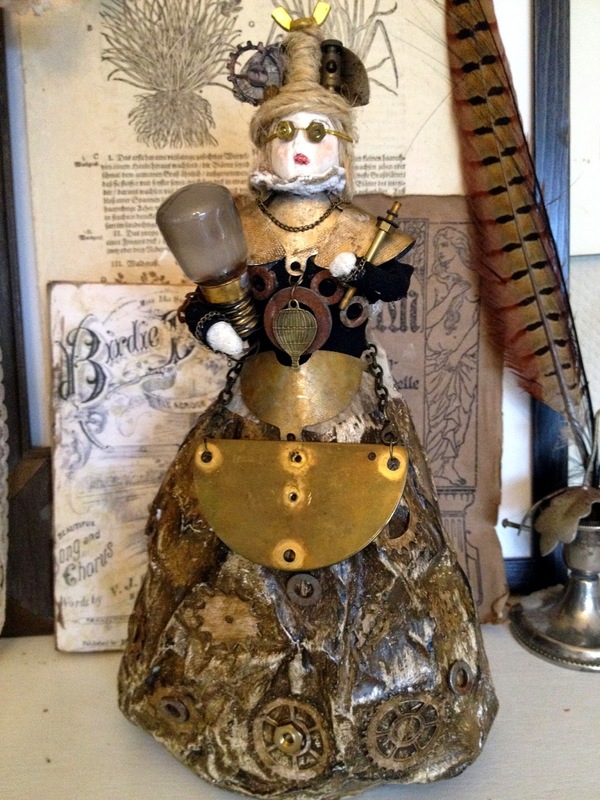 Servus and a warm welcome to all the Steampunk lovers out there! So don't miss the chance to win some Tando goodness by entering a project to our actual challenge "Steampunk Couture" which is still open until the end of the month. 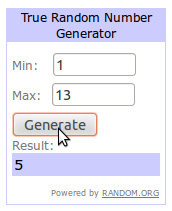 The winner will - as always - be picked randomly among all the (proper) entries from the 2D and 3D collections. 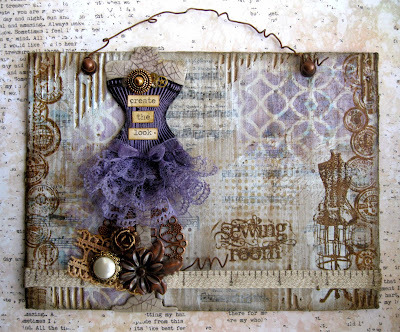 My wonderful design team have created some more fab "steampunk couture" projects for your inspiration, but I thought I'd also shine some spotlights on some of the wonderful entries from our last challenges (as I have to admit that I have been very negligent with this during the last months. Sorry for that). 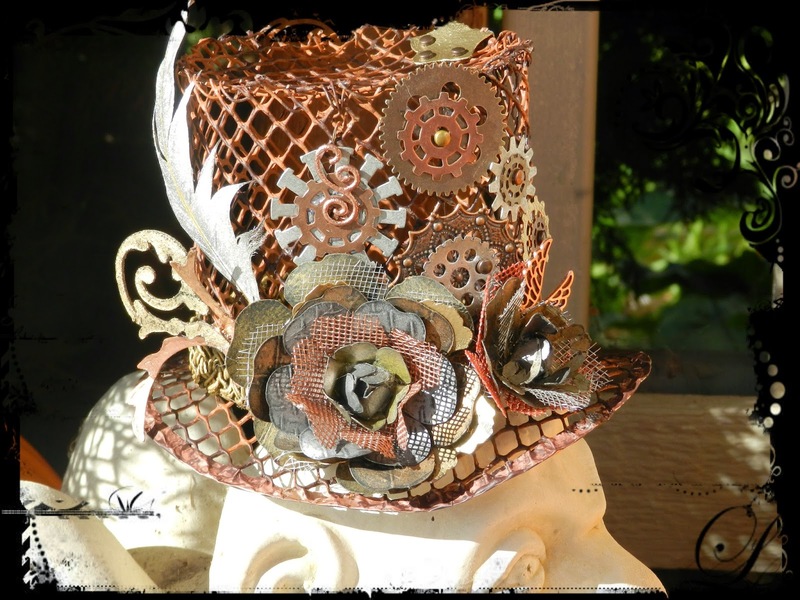 and yet a top hat, also for me the most beautiful Assecoire of the steampunk couture. 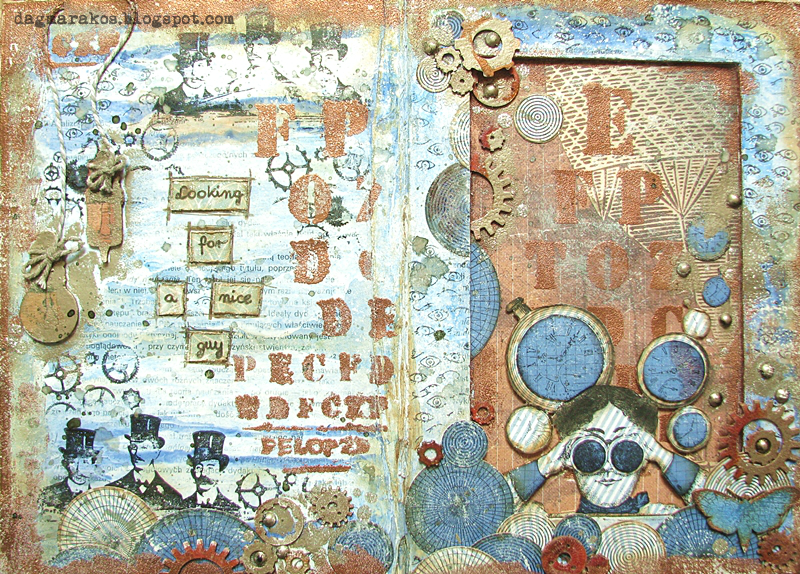 The result is a mixed media collage using stencils and stamps. This 'Couture Creation' used a mannequin that had been started as another project over 18 months ago...it didn't 'work' then and I discarded it in favour of another idea. 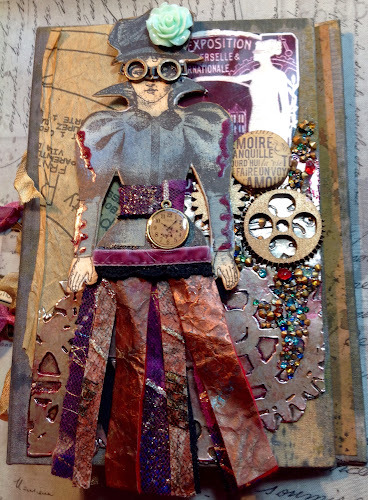 The mannequin sat in the scraps bin for all this time and was brought back to life to be a steampunk creation here. So if you want to join in - HERE is the link to the actual challenge (or just click the button on top of the side bar)! We would love to see you play along with us! 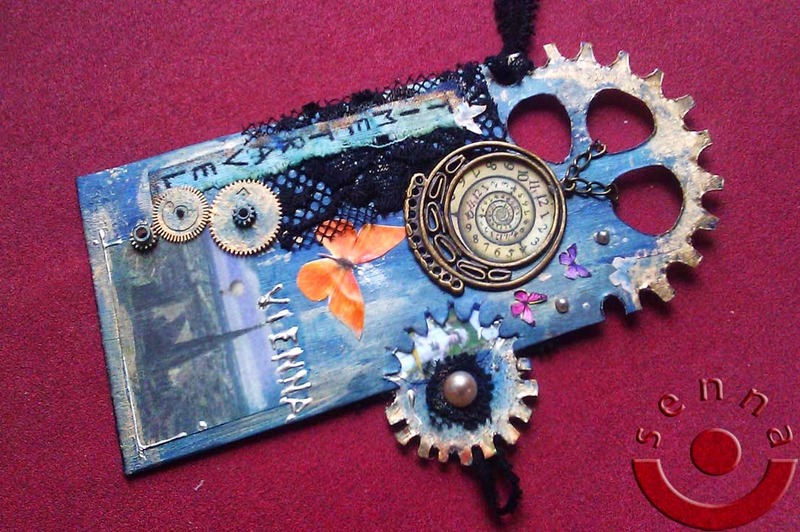 Servus and welcome (back) to our tiny creative Steampunk corner! 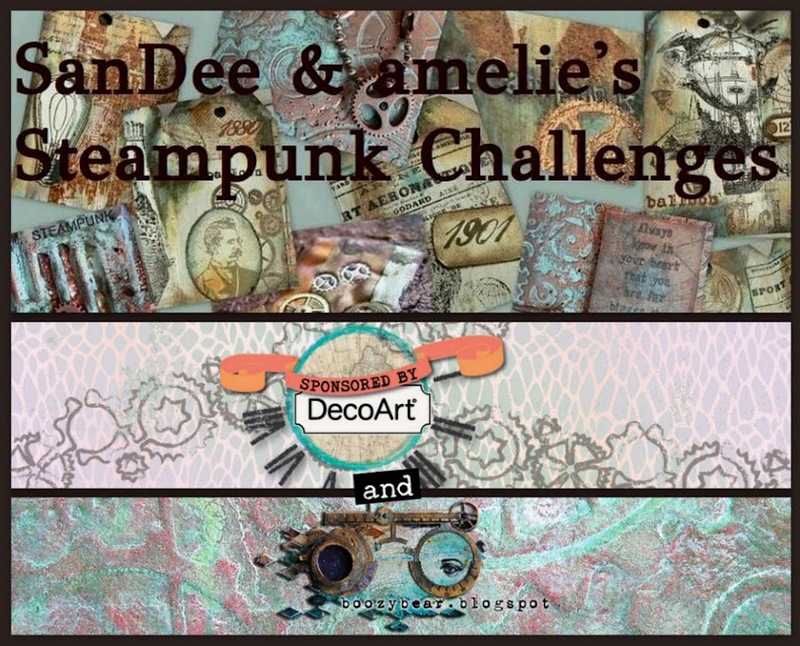 Our actual challenge "Steampunk Couture" is still up until the end of this month and if you come back on October 15th you will find an additional bundle of inspiration from Team B alongside the announcement of the prize sponsor for this challenge. So make sure you don't miss it! Yay! Huge congrats, ladies! We loved to see all the love, labour and imagination you put into these smackin' projects! Please, feel free to grab the badge for display on your blogs!